Are you looking to boost your YouTube branding? If so, it is best to start by understanding that YouTube is not just a video platform like Netflix, nor is it a pure social media network like Facebook video platform. Instead, the service is best thought of as a hybrid of the two, made up of elements of each. Why does that matter? Because it means that branding on YouTube must be tackled twice: on the individual video level and on the channel level. Individual videos are important because they are how most users engage with your brand on YouTube. Usually consumers end up on the platform because they searched for a term or saw a shared link, and are taken directly to the player. 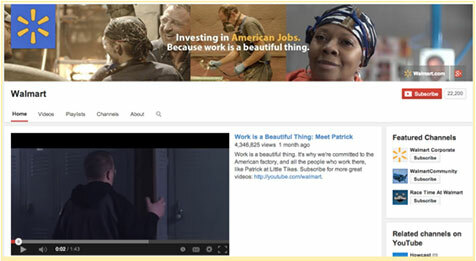 Often consumers don’t even go to YouTube itself but watch its videos embedded somewhere else. Therefore, if your branding is not incorporated into the videos, it may never be seen. Your YouTube channel is important because it is the hub for activity, as with a Facebook page or Twitter profile. This is where users will judge your overall brand—based on the videos you’ve published and your social media activity—then potentially decide to subscribe. Title and metadata: Because YouTube traffic is so search reliant, it is key that your brand be well represented in the text elements of every single video. For your titles, lead with something catchy or the video topic, rather than branding. However, you may want to include your brand, product, or service name at the end of the title, if you think it is being frequently searched for by users. Also make sure to always include your brand name and relevant product/service names as tags in each video. Users won’t be able to see these, but it’ll help link your videos together. Description: The description for each video is incredibly important, yet overlooked by many marketers. Why is it so key? Because the description is the one place where you can include a lot of text, as well as hyperlinks. One thing to keep in mind is that only the first few lines of the description are visible to users (the rest appears after they click “Show More”). Therefore, use that initial space to draw viewers in and perhaps include your most important link (to your website, a relevant product page, a key social page, etc.). Then use the bottom part of the description to provide context, reinforce your brand messaging, and include additional useful links. 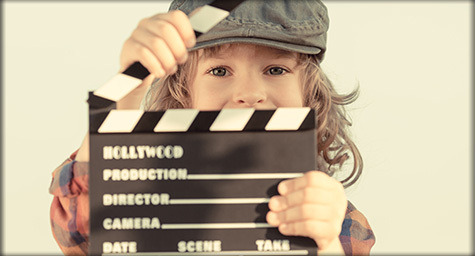 In-Video Branding: Once you get your text brand elements down, it’s time to add some visuals. A key thing to keep in mind is that YouTube viewers have a very low tolerance for anything that takes too long or that is too intrusive. Therefore, if you decide to include a branded opening for your videos, keep it short. 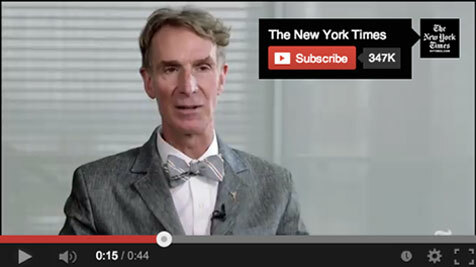 Also, YouTube allows you to add a clickable square icon to all your videos—an InVideo Programming Annotation. This is a great opportunity to include your logo, which will automatically link to a subscribe button for your channel. Okay, so you’ve tackled your individual videos, now how do you brand your YouTube channel? Channel Name and Social Links: This may sound obvious, but we’ll mention it anyway since it’s sometimes overlooked: before you do any other channel branding, make sure your name is correct and that it is linked to the proper Google+ page. This is especially important since your channel name is associated with every video you publish. Therefore, make sure it clearly reflects a brand/product/service name. Also, make sure that you include links to your other social network pages in the “About” section of your channel. Channel Icon: The square channel icon is small but very important. Why? Because, again, this is an element that appears not just on the channel but also with every video. A key thing to keep in mind is that the channel icon is often scaled down on the platform, so make sure you upload a high-resolution image (800px x 800px) that looks good when displayed on smaller screens. Channel Banner: The channel banner is the large image that spans the length of your channel. As with the channel icon, the banner is often scaled down to different sizes on different devices, so make sure it is simple and clear. Since the channel icon is often a logo, you have more leeway with the banner. It can be used to showcase a product, evoke an emotion, or simply to reinforce branding. Here are two examples of how different companies use the banner and icon: AOL goes for double branding, while the Apple uses its logo once as the icon and a product image in the banner. Intro Video: The final major branding component of the channel is the intro video. This is a single video that you can select to be the first one displayed (and played) when a user arrives at your page. This video can serve a number of purposes, including explaining your brand/product, showcasing the best content on your channel, or encouraging visitors to subscribe. Some brands create a specific video for this spot, while others use an existing one that reflects their channel or message. Which option is best depends on your goals. If you’re looking for more information on YouTube branding elements, we recommend taking a look at the company’s own Playbook and Playbook for Brands. Both include additional suggestions, as well as specific guidelines for image sizes and video lengths. Discover the big picture in YouTube branding. Contact MDG Advertising today at 561-338-7797 or visit mdgadvertising.com. MDG Advertising is a full-service advertising agency and one of Florida’s top branding firms. With offices in Boca Raton and New York City, MDG’s core capabilities include branding, logo design, print advertising, digital marketing, mobile marketing, email marketing, media planning and buying, radio and TV advertising, outdoor advertising, newspaper, video marketing, Web design and development, content marketing, mobile marketing, social media marketing, and SEO. To discover the latest trends in branding and advertising, contact MDG Advertising today at 561-338-7797.